You are here: Home » 830 Laser (Finally, a True Healing Device) Landing Page???? Mention code: “830Promo” to get a treatment for only $19. The 830Laser sends light (photons) into your injured tissues that can penetrate 2 inches without being absorbed by the skin, fat, or blood. No heat is generated so it is safe for use anywhere* on the body. Once the photons find the injured tissues, they stimulate and energize the cells to repair and strengthen at a remarkably fast rate. 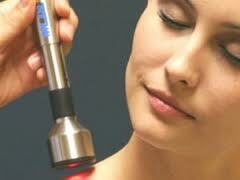 This treatment does NOT wear off like most medicines, electrical stimulation, heat or ice. It increases our body’s own healing power and enhances that process – true healing. If you don’t re-injure the area, the pain should not return.